Following the repeal of the corn laws and reductions in the price of corn and wool over the first half of the nineteenth century, many farmers gradually moved away from grain and sheep towards dairy farming, which had become more profitable. In 1865, many farms were badly affected by Rinderpest (a highly contagious cattle plague), partly due to the government’s tardiness in imposing restrictions on the movement of cattle and the slaughter of infected livestock. In an attempt to understand the nature of the country’s farms and the pattern of arable and livestock farming, in order to prevent future outbreaks of disease proving so serious to the country, the government began to collect annual agricultural statistics on farms, crops and livestock. 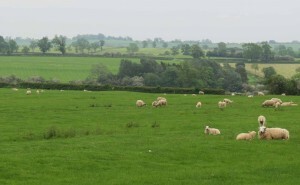 Unlike the earlier crop returns, the agricultural returns sought details of pasture, livestock, orchards and soft fruit as well as arable crops. Although the original returns completed by individual farms were not retained, the figures were consolidated into statistics for each parish, and these parish totals survive for each year from 1866 until 1988 inclusive, with the exceptions of 1868, 1871 and 1872. The amount of information listed for each year can appear daunting. The precise information requested by the Board of Trade and the later Ministry of Agriculture varied over time, with later returns in particular often requiring an immense amount of detail. Using the figures for cattle as an example, in 1887 there were just two separate categories for cattle, but as farming became more specialised, by 1927 the total number of categories had increased to seven, and a decade later there were nine different categories for dairy cattle and another nine for beef herds. The returns also record the number of farms, the number of farms owned and those rented (not given in the earlier returns) and an analysis of farm sizes (recorded from 1905). You may decide not to record labour (which starts to appear in the returns after World War I), although in the 1940s it is worth noting the number of prisoners of war working on the land and the number of women’s land army workers employed, which differed widely from parish to parish. By entering these figures into a spread sheet, you can perform some simple analysis and produce some basic graphs to show at a glance when significant changes occurred, for example in the proportions of arable and pasture, the number of each type of animal, or the acreage of the main crops grown. The original documents are held at The National Archives at Kew, but the returns for 1866 to 1918 are also available on microfilm at the Record Office for Leicestershire, Leicester and Rutland (Mf 175-178). The reference for each piece is on the microfilm (it will start with MAF 68), but you should also add the sheet number, which is shown in the top right-hand corner. Later returns, to 1988, are only available at The National Archives.